The first paradox appeared in a place called Eden. God forbade Adam and Eve from partaking of the fruit of the tree of knowledge of good and evil, while another being came along coaxing them to partake. Eve understood that virtue was superior to innocence. Innocence is a state arrived at unknowingly while virtue is a state arrived at willingly (thanks Bro. King!). With open eyes, mankind could move forward in God’s plan. What Eve exercised in the garden was wisdom. In Eden, we could say that Adam was exercising prudence in his desire to avoid transgressing God’s commandment not to partake of the fruit, but Eve, the “Mother of all living,” exercised wisdom in bringing about the necessary fall which opened the way for redemption and eternal life. All human beings alive today once existed in the womb of a woman. We each developed in an Edenic state of innocence that required nothing on our part to live day by day. Through birth, we fall from that state, are severed at the navel from the umbilical rod that connects us to the tree of life, and we enter the telestial world. Wisdom brought about the fall and wisdom will lead us back to the presence of God as we catch hold of the end of the iron rod and make our way back to the tree of life, with open eyes and crowned with virtue. 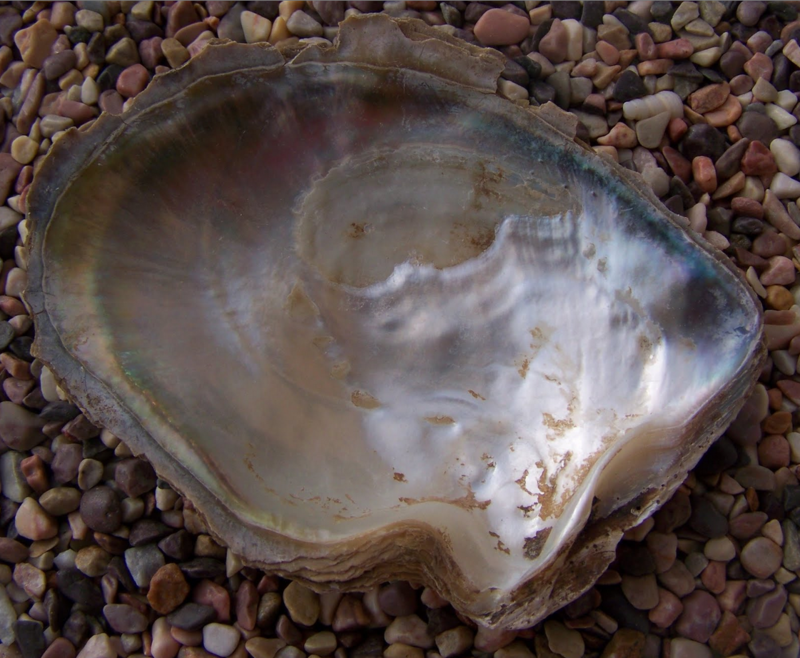 The word matrix means “womb.” Note that a pearl is generated due to an initial irritant, an unpleasant experience (much like the appearance of the serpent in paradise). The initial irritation is overcome with something beautiful and valuable, perhaps an allusion to the way the feminine component to humanity may overcome the blindness and impenetrable understandings of humanity with wisdom. Note that it says primarily and not only. This means that although the nurturing of children is a top priority, motherhood is not only the nurturing of children, there is more. We talk a lot about motherhood, families, and children as Latter-day Saints, and this frequent repetition can be recurringly painful to single sisters or women who are unable to have children. How can someone in that situation not feel as if they are faced every day with a huge contradiction? How does one reconcile not being able to fulfill a purpose that they are told is part of a divine design? Where might we find wisdom in this? Sometimes those two are one in the same. “Who needs you?” If you have children, then they need you. If you don’t, then look around. We are all God’s children, Jesus understood that. For all the talk of family and marriage in the Church, the record paradoxically portrays Jesus as a single figure who went about doing good. Instead of verses filled with Jesus parenting his own offspring, we see him opening his arms to the children of others, young and old. His love transcended smaller familiar bounds and encompassed all humanity. The woman’s realization was palpable, she realized that Motherhood was more than just genetics, it was about choosing to love, choosing to be there for another soul and to help them in love. 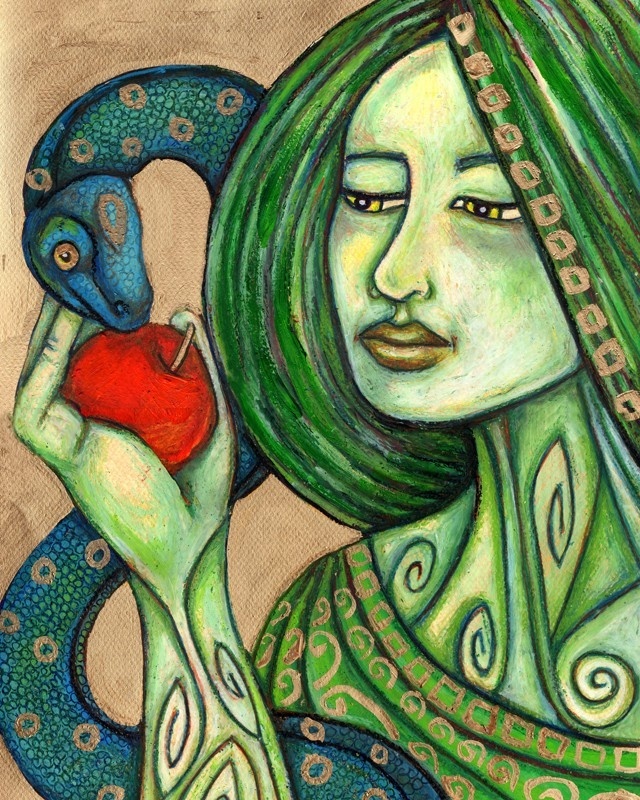 Remember wisdom; in the midst of a swirling paradox, Eve found her truth which was the truth. To say that her solution was outside of her ‘comfort zone,’ or expectations is an understatement of Biblical proportions. As Eve watched the consequences of her wisdom unfold, she “heard all these things and was glad” (Moses 5:11). The God of the entire Universe is, to us, a personal God. A God with infinite universal purposes has, even for the least of us, a personal purpose – may we find it. We know that there is a Mother in heaven, but where is she? What are her roles? Why do we know so little about her? I don’t know all of the answers to those questions, but maybe there are some clues in the following conversation I had years ago with a disaffected member of the Church who was furious that he was always told to pray to the Father and not to Jesus. This was his personal Savior and he couldn’t talk to him through prayer? What an absurd notion! Ironically, it was Jesus himself who instructed us to pray to the Father in his name. I responded to this disaffected brother with another idea, one that was right there in the scriptures the whole time. The Father wants us to seek him in prayer, while the Son invites us to act, he wants us to find him in the thirsty, the stranger, the naked, the sick, and the prisoner. We find him as we become like him. 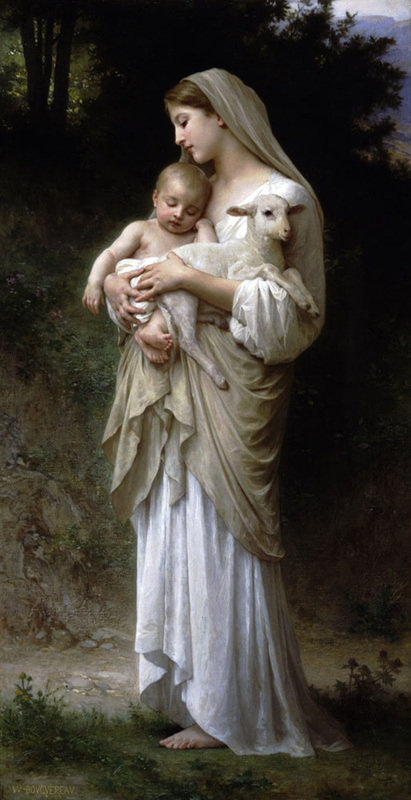 I wonder if women are uniquely positioned to find the Mother as they exercise wisdom in bearing children and guiding souls. Many things are spelled out in scripture, but others are only for those who have eyes to see. Planted there are catalysts that can direct us to truths only found in personal experience. 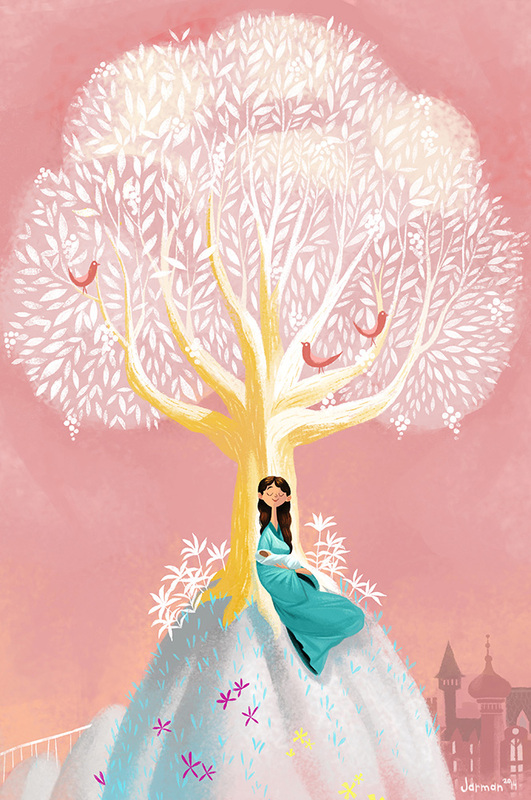 In a vision, Nephi beheld the tree his father saw and desired to know it’s meaning. Instead being directly told the meaning, he was shown a woman. Then, he saw the same woman with a child in her arms and he was asked if he understood the meaning of the tree. There are many ways to interpret symbolic imagery, for this case I will suggest that the tree is the woman, the mother, and Jesus was the fruit of the tree, the son of the mother. Justice and mercy can only be satisfied with a mediator. So how does mercy claim her own? Think of the tree, she gives birth to a mediator, enabling mankind to move forward. Though all of us feel that we fall short, as mothers and fathers, sisters and brothers, daughters and sons, take wisdom from Eve who understood that falls can be necessary steps to progression. But didn’t Jesus teach us to “be ye therefore perfect?” (Matt. 5:48) How can we “be perfect” when there is a recurring feeling of inadequacy? Is this a contradiction or another paradox? Throughout time, prophets have poured knowledge into the earth, but what good is all the knowledge in the universe without wisdom to guide it? If there is anything I can add it would be that there can be meanings in both masculine and feminine characters in the scriptures that apply to men and women alike. For example, What can I, as a person, learn about myself from both Adam AND Eve. What do each one of them represent in my life? What lessons can I learn from their actions that is part of ME. Yeah, you’re right. I’ve just heard people comment on the paradox of how seldom women are represented in scripture. While, yes, stories of men and male characters are more dominant. It takes a more subtle eye to see beyond just what is there. There is tremendous value in doing as you say and putting yourself into both situations. I just wonder how much of the feminine aspect that IS there just goes unnoticed. I wanted to draw a little more attention it in my talk. I love this interpretation, and it’s one that I think about often. My question for you is this: In the story, Eve exercises her agency to bring about the fall of man. She conscientiously does something that makes her fall. I’ve tried to ponder this a lot, but what do you think WE DO to fall from the state of bliss in the womb? Is it the mere fact that we grow? I don’t think we have agency to stop that from happening if we wanted it to. In other words, we can’t stay in the womb forever. If the story is the same, we had to do SOMETHING to fall – it doesn’t just “happen.” But physiologically speaking, something does happen. I don’t know if doctors are sure what specifically causes labor to begin, but either way, it would need to happen sooner or later. But Adam and Eve could have stayed in the garden forever if they chose to. Or perhaps not? I don’t know, for me these are fun things to think about. What say you? There are a lot of little things woven in here so let me see if I can address them. First off, direct, exact parallels don’t always work, sometimes things can be out of order. While we come out of the womb innocent, our actual “fall” occurs as we grow and begin to discern right from wrong. The Adam & Eve story captures this process but in a slightly different sequence. I wouldn’t get to caught up on specifics, no metaphor is perfect otherwise it wouldn’t be a metaphor. Anyway, I know it’s probably a bad metaphor but it was fun to write. I believe that the commandment to not eat of the tree of knowledge of good and evil was only temporary. That God was going to return and be the one to teach them and provide further light and knowledge about how to make that choice. But Satan sought to put himself in the place of God and teach them about the tree. If Adam and Eve ignored Satan they probably would have partaken of the tree later under God’s guidance. Satan was really the only one in trouble because he was seeking to imitate a true messenger and put himself in God’s place without any authority to do so. In this way, he beguiled Eve, he misrepresented who he was and his intentions. That’s just a theory, there could be many other ways to interpret the story. Now I could see that as meaning a lot of different things too, i.e, you could make the case of WHEN (God) properly instructs them to “fall,” (He) would provide a savior. For me there is something very rudimentary and important about Satan’s role in the Fall. I think it’s an important part of how this world became telestial. Otherwise, why not just instruct Adam and Eve from the beginning? What would this test have proven if they did not partake? The point is that God knew that they WOULD be beguiled. But that’s just my opinion and theory. But either way there must be something incredibly special and profound about the actual event of the fall, so as to equal the atonement that would come later. If the three pillars of eternity are creation, fall, and atonement, then I think the fall was no small act. It must have equaled the creation and atonement in terms of scale, magnitude, and scope. My ideas aren’t the gospel truth, just another way of looking at something. Whether they were beguiled, figured it out on their own, or God intended to keep teaching them until they could see clearly enough to decide doesn’t seem to matter in my mind. Any way you slice it, the fall is unavoidable. Satan seems to have just thrust himself in the middle of things as if he was in charge which is a big no-no. I have a problem with the idea that in order for any world to progress, you need people who will become sons of perdition, hate everything and seek to war against God. But maybe that’s just how it always is, there are always rebels and progression depends on them. Maybe it is as inevitable as tyrants within human history. There are many other ways to interpret these things and I can’t detail them all here. I’m not “bound” to one interpretation, but I think it’s safe to say that the fall was part of the plan, but the exact steps to that fall may very well vary.